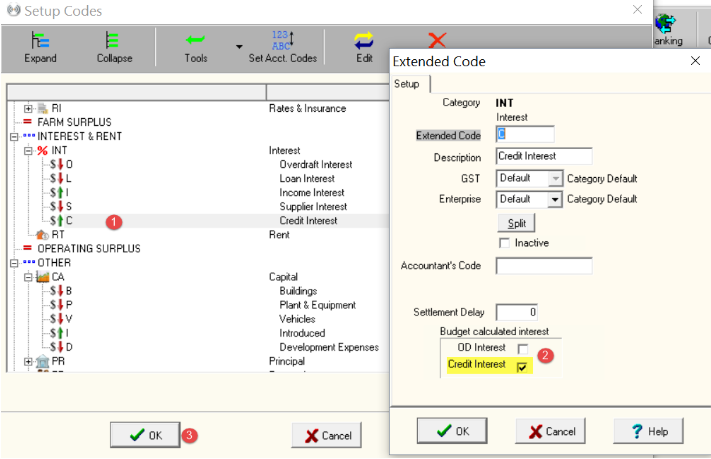 Overdraft and credit interest can be automatically calculated in your budget, however only one expense extended code and one income extended code can be ticked for budget calculated interest. If more than one extended code has been ticked the following message will appear describing what codes are the cause of the error. 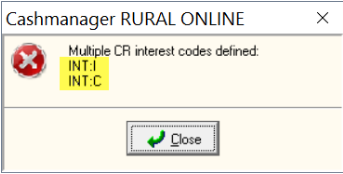 For example, in the error above both the Income (INT:I) and Credit Interest (INT:C) codes have been ticked and one of these codes needs to be unticked. Click OK to exit the Code List.